We're on to part three of my very exciting cocktail tour of St Andrews, if you want to catch up you can see my previous posts at the Vic and Forgans. 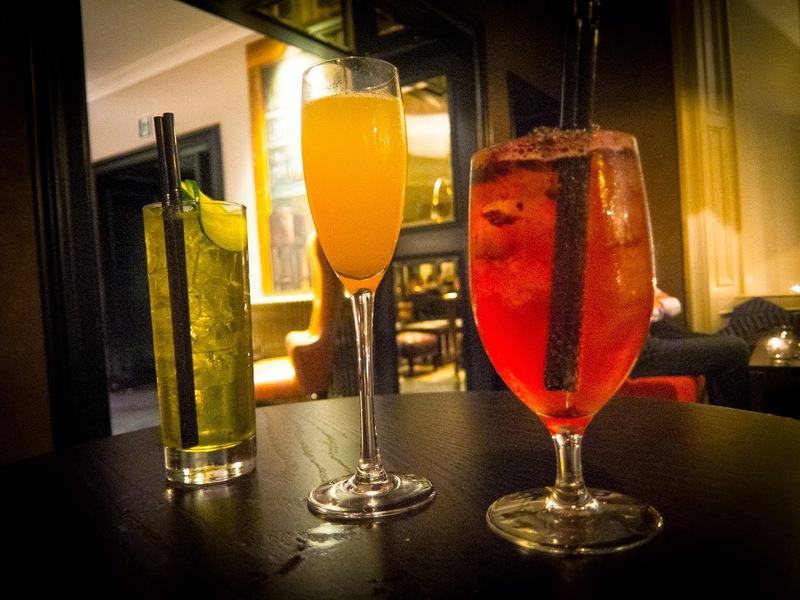 We made it down to The Scores to check out the newly renovated Hotel du Vin. This tour was in conjunction with VisitStAndrews. We were given three cocktails to sample, two from the main bar and one from downstairs bar Ma Bells. 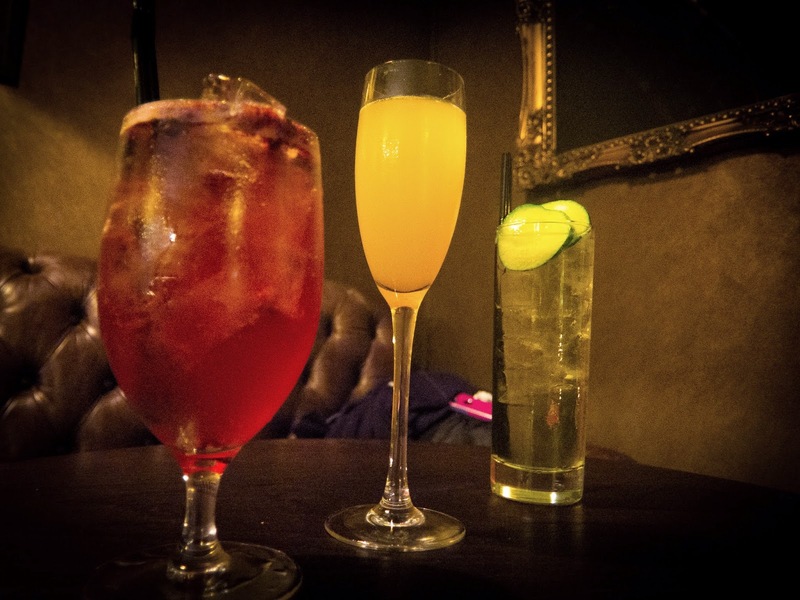 If you are hunting for some classy cocktails Ma Bells is the place to be, especially on Fridays, Saturdays and Sundays where it's 2 for 1 in cocktails. From the main bar we had a peach bellini, ,with the very grand name "Hotel du Vin Bellini Royal". This had champagne, Briottet peach liqueur and some peach puree- veryfruity and luxurious! This was quite expensive at £12 but a lovely treat. The red coloured cocktail was the El Diable, which you can get for £10. It contained tequila, lime juice and ginger beer; this combo meant it was fizzy and spicy with a fruity twist from the fresh raspberries. It was really nice, not quite as fizzy as the bellini so a little easier to drink but the ginger beer gave it a nice kick! Now the star of the show was our sample from downstairs- the Double Barrel. It was a gin based cocktail (some lovely Hendricks) and was so good! It had some nice cucumber and lime flavours and was perfect for summer. Like our cocktails at the Vic the gin flavour wasn't over powering and really nice! Overall I really enjoyed our cocktails at Hotel du Vin, they're perfect if you fancy a nice treat! ooh they look really nice!